Get the most performance out of your 4x6-inch plate speaker with the MM461p. Mounts easily in factory locations. Great for Jeeps and other high performance vehicles! 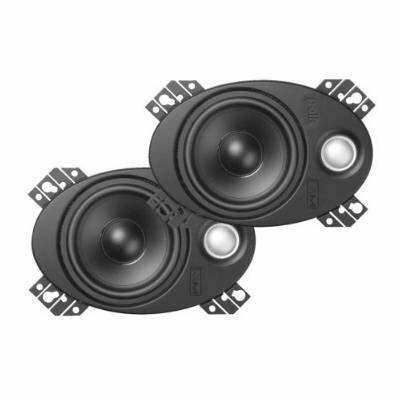 Marine Certified Polk MM Series speakers are built tough to withstand the toughest environments so they are perfect for use in boats of all types. Klippel optimized components using a state-of-the-art Klippel distortion analyzer, Polk engineers were able to optimize the woofer¡¯s motor structure, voice coil alignment and suspension for the best possible performance, even at extreme listening levels.